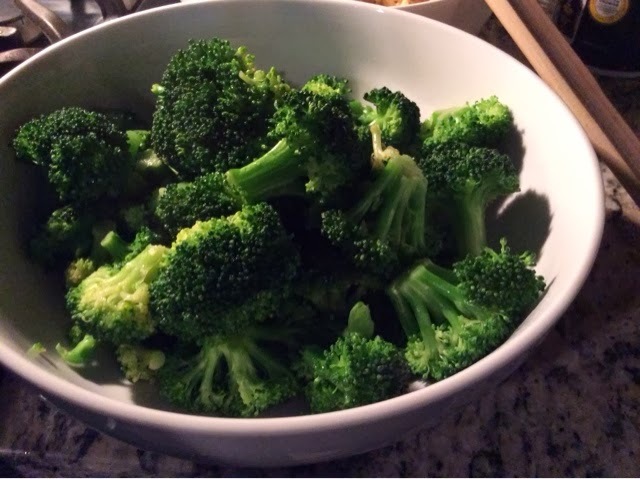 One night when we had a dinner party, my friend Joni brought over this awesome broccoli salad. 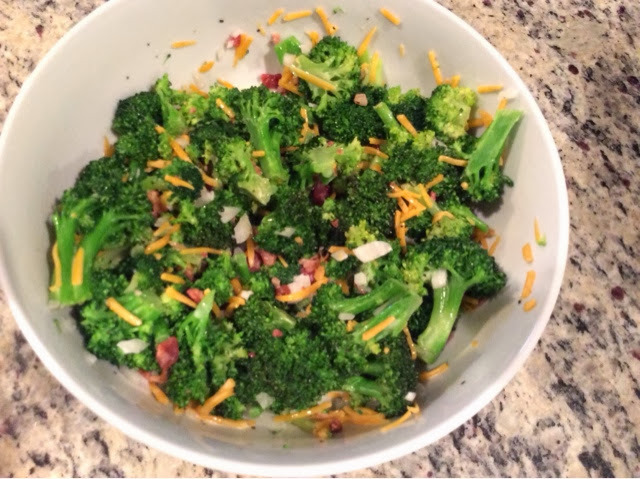 When I asked her what the recipe was she said it was from allrecipe.com and was called bodacious broccoli salad. Curious, I googled it to look it up and that recipe can be found here. Reading through the recipe the first thing I realized is that I didn't have whole heads of broccoli. I buy the pre cut, pre washed organic broccoli florets from Costco. Second, I didn't have any red wine vinegar. Third, I didn't have strips of bacon. I buy the pre cooked and pre crumbled bacon from Costco that's in a bag. Fourth, I didn't have red onion. This is what I did instead using that recipe as a guide. I also decided to quickly cook the broccoli so it wasn't as crunchy but that's a personal preference (you could also blanch it or make it raw). I boiled a pot of slightly salted water and cooked the broccoli for 1 min. Drained the water and placed in a large bowl. 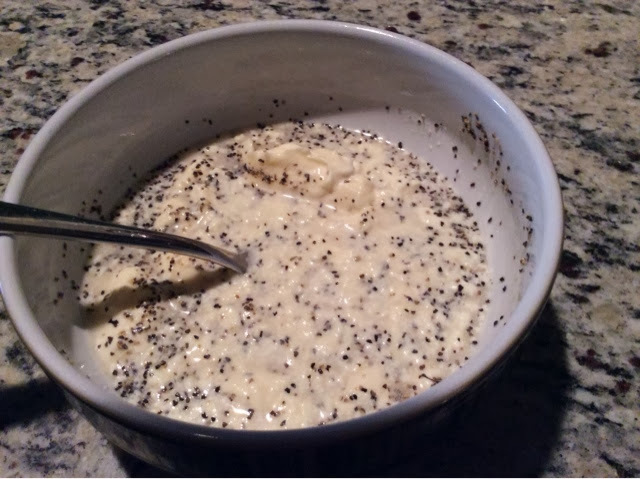 In a small bowl, whisk together apple cider vinegar, sugar, pepper, salt, mayo, and lemon juice. Then in the large bowl add in the cheese, bacon and onion. Toss in the mayo mixture and refrigerate to chill until ready to serve. It's sweet yet tangy with just a little bit of crunch. Yum!